Ever since the 13th century, Atlantic cod fishing has formed the basis of several fishing villages along the Namdalen coast in Trøndelag. Like the idyllic Sør-Gjæslingan. “This is a place where you really can find yourself. The light is overwhelming and cell phones hardly work out here. 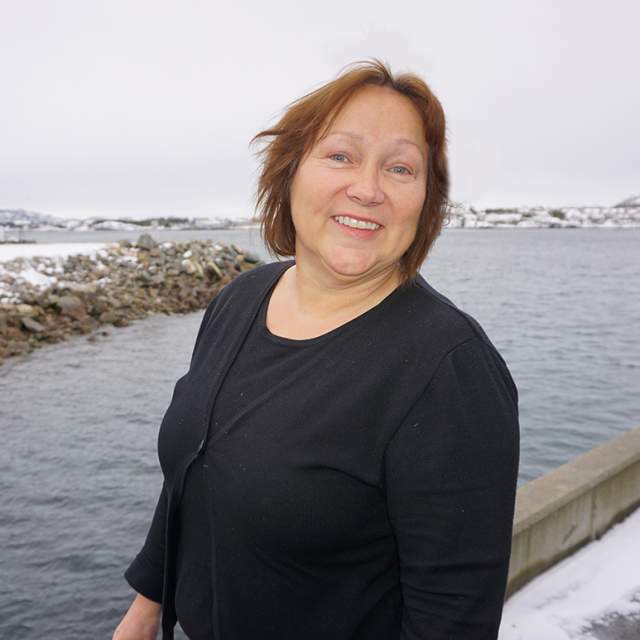 It’s like living in a different world”, says Anne Grete Walaunet, coordinator for The Coastal Museum Rørvik who is in charge of maintaining Sør-Gjæslingan. The fishing village is a monument over former greatness and was listed in 2010. Most of the buildings and the traditional environment from the archipelago’s grand era are still preserved. Old fishermen’s cottages and fish landing stations tell the story about people’s risky life and work at sea through the centuries. At the waterside, you can jump into a rowing boat and gently toss the fishing line into the deep, dark sea. The only things reminiscent of modern life are the refrigerators humming inside cabins named after the places where the fishermen originally came from. “It’s such a great feeling. This place is unique, even in Trøndelag. There are many stories about this place, which was home for more than 6,000 fishermen during the winter season in the 19th century. In comparison, Trondheim had 25,000 citizens. That says a lot about how important this place was”, says Walaunet. It was a dangerous place, too. In 1906 the islands were hit by a major disaster. The fish was far out at sea that year, and 1,500 fishermen found themselves in a fatal storm. More than 30 fishermen lost their lives outside of the village that was called “Little Lofoten”. Norwegian author Olav Duun described this island far out at sea as a “fairy tale land”. Today you can sense the history in the walls, and a visit to Sør-Gjæslingan is surely a memory for life. Most of the people moved from the islands in the 1970s, and the last fisherman left his cabin sometime in the following decade. Now, the weathered islands facing the ocean have become an attractive meeting place again. The fishing guests today reap inspiration and recreation from an authentic and historical setting. Using Namdalen as a place for rest and recreation is nothing new. Back in the day, English lords would come here to find peace – and fresh salmon. The salmon itself is known to travel, of course. You can follow it inland through rivers and lakes, swimming alongside delicious freshwater trout. Follow the Namsen river far enough, and you’ll be heading towards not one, but three national parks teeming with wildlife and varied landscapes. On the way there, you’ll encounter not just animals and fish, but people as well. Be sure to stay and chat. You’ll hardly find a place in Norway with such a strong sense of community. Boasting a pristine coastline, plenty of rivers and three national parks, Namdalen is a natural hub for outdoor pursuits.